I hope everyone’s semester has been everything they expected and more! This semester has been full of adventures and many learning experiences. 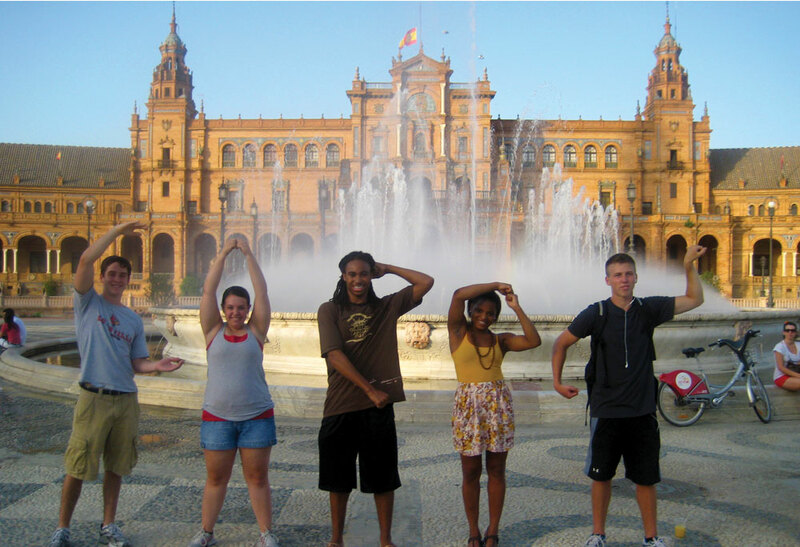 Arriving to Spain was quite possibly the scariest thing I’ve ever been through because it was my first time traveling alone and my first time in Europe. When I arrived in Getafe, which is where Universidad Carlos III de Madrid is located, I was very surprised to see that it wasn’t a big buzzing area. Getafe is a smaller suburb outside of the center of Madrid and it is where I lived during my stay in Madrid. 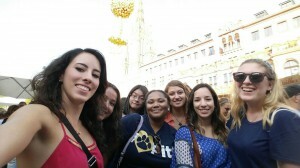 After spending four months in Spain and traveling around Europe, I’ve learned a few things. I will list them in categories. The first thing I would recommend is about living arrangements is that you look at your budget. 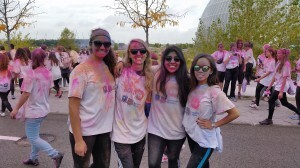 Living on campus dorms can be a great way to meet people easily, but it is also very expensive. You can find a decent place to rent in Getafe for about 230 euros. Living in Getafe is great if you want to be near the University, but if you want to be in the city and go out, I suggest you look into living in Sol. Going to the city from Getafe takes about 20 minutes on the train and the last train to Sol and back to Getafe runs at 11:50 PM, so if you think you want to stay closer to all the buzzling center it might be better to live there, but it is expensive and rent can be up to 500 euros a month. 1. El Eskinazo It is a very cheap and good place to eat near the University. You get a free tapa with any beverage purchase. 2. 100 Montaditos A great place for tapas. Every Wednesday and Sunday they have euro tapas. 3. La Bicicleta A wonderful café in Malasana that serves a great breakfast. If you’re looking for a place to study besides the library this is a great place to do so. 4. La Malquerida If you like Mexican food, this place has great tacos and on Wednesdays they have tacos for a euro. Be sure to make a reservation because on Wednesdays they only do seatings if you have a reservation. 5. Lavapies If you’re looking for Indian food, this area of Madrid is lined with them and they are also very cheap. 1. Attend a soccer game or do a stadium tour. It is an amazing experience and you really get to feel the love for the sport. 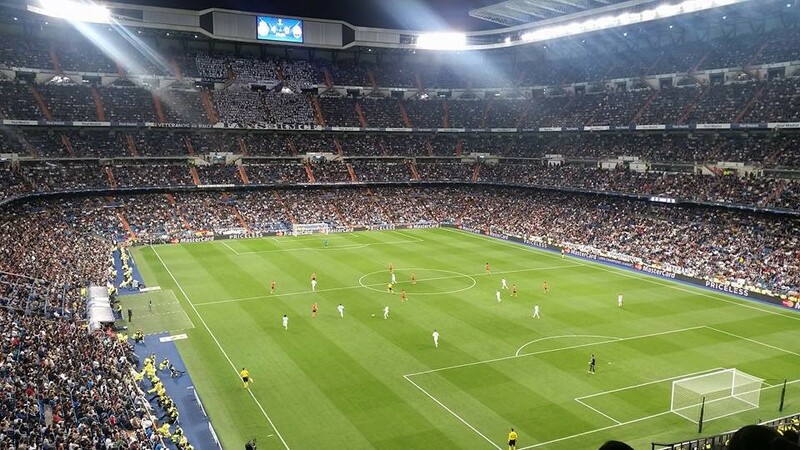 You can attend a Real Madrid game or an Atletico Madrid game. Tickets can be as low as 15 euros. The picture below was taken at the Real Madrid vs Shakthtar match. 2. Go to El Rastro. El Rastro is a market that happen every Sunday in La Latina. It is a great experience and a great place to get cheap artisan items. 3. Try hiking outside Madrid. 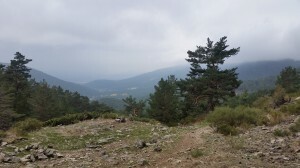 I wish I would’ve hiked in more places outside Madrid, but it’s a great experience to see outside the city. I hiked in Cercedillas, but Navacerrada is also a good hiking spot. 4. Attend an event in Madrid. I attended the Holi Run, which is much like the color run and it was a great event. I suggest you try to keep an eye out for any events that may interest you. 1. Book your tickets as early as possible. If you can, plan your travels early because tickets can get pretty expensive. I’ve found tickets starting at 15 euros, but I’ve also payed 200 euros for a plane ticket. 3. Don’t be afraid to travel alone. I took my first trip alone to Paris and it was amazing. I didn’t I was going to have fun because I was alone, but I was surprised to learn that many people travel alone and you can easily make friends anywhere you go. I also loved that it was empowering. 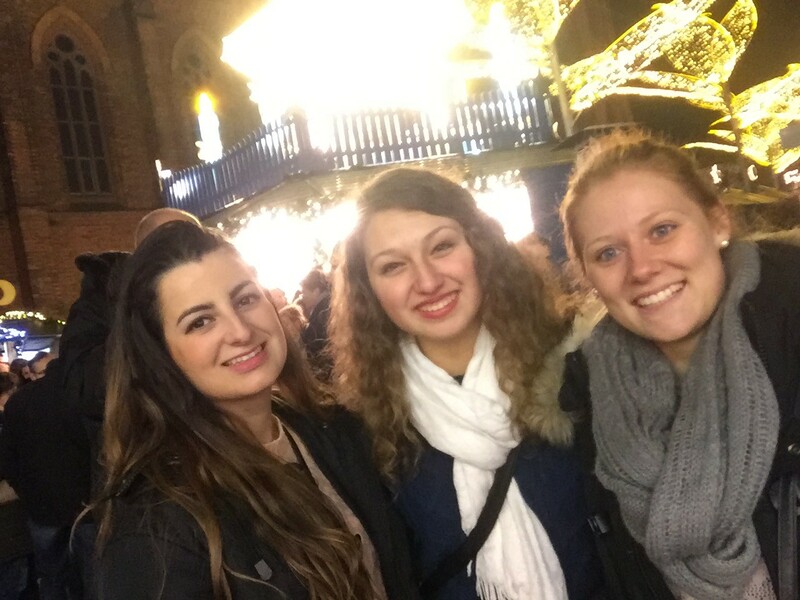 Studying abroad in Germany turned out to be a fun-filled, exciting experience! Especially in the States, Germans are stereotyped as being strict and very business-like. Since I’ve been in Germany, I have definitely changed my opinion. Germans are always partying! That’s one major reason this experience has been so much fun. 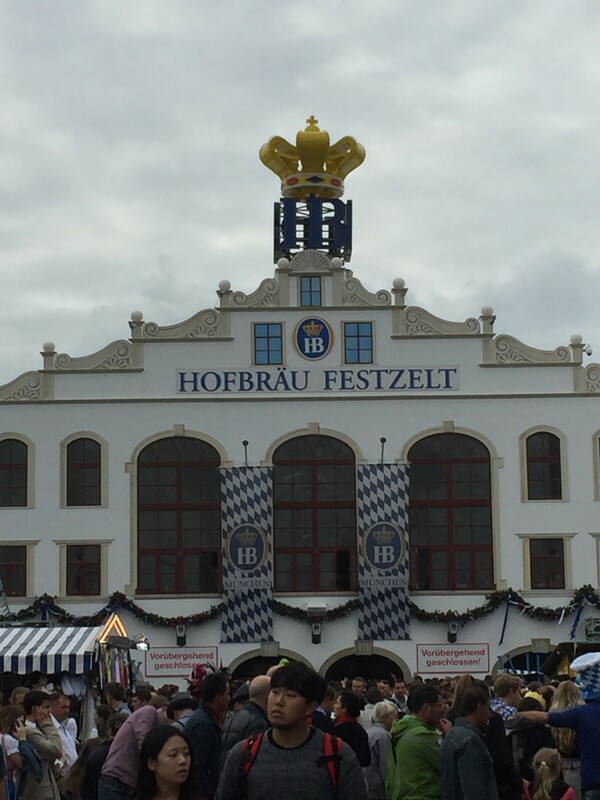 Every weekend there is a new festival or celebration to attend—all over the country, so there are literally hundreds of festivals to attend in Germany. We all know about Oktoberfest, Carnival, and the various Christmas markets. But there are many others, such as various wine festivals, food festivals, the festival of lights, and even museum festivals. Germans always have a reason to celebrate something! I’ve had the once-in-a-lifetime pleasure of attending several of these different festivals, and each one has been unique, and very cool. So, as you all go to the over-crowded malls to spend your holidays, I’ll be at various Christmas Markets drinking Glühwein and ice-skating! Wiesbaden’s 40th Annual Wine Festival. 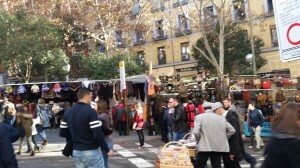 One of the various Christmas Markets!